Let us help plan your perfect romantic celebration. Whether you’re looking to exchange vows on board or while docked at a tropical paradise, cruises offer a unique setting for your dream destination wedding. Explore the open seas and say “I do” in style. Weddings at sea provide a romantic setting for couples to tie the knot. Imagine exchanging vows on board, with endless views and the ocean breeze at your back. Or, why not host your ceremony shore- side once you’re docked; enjoy all the scenery the port offers. Wedding cruises are on the rise, and many cruise lines’ wedding packages offer services in bundles, so it’s never been easier to have your dream destination wedding at sea. 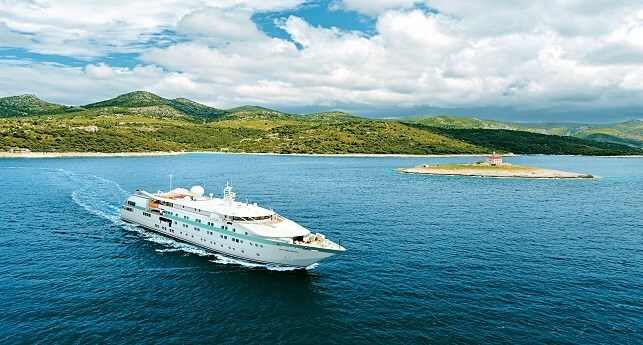 From the Mediterranean Sea and Polynesian Islands to European adventures and exotic locales, cruises can take you all across the world with your special someone. Consider a blessing ceremony in Bora Bora or a simple event at a secluded Caribbean cove. Wherever you decide to tie the knot, it’s sure to have a wow factor when you choose a cruise! Be sure to look out for more fabulous cruise lines coming soon!